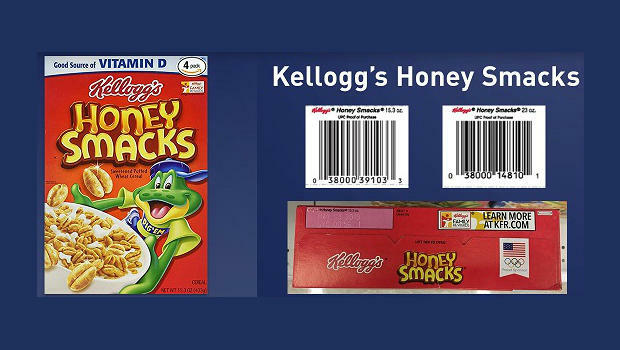 Kellogg Company announced Thursday it is voluntarily recalling certain boxes of Honey Smacks cereal for what it's calling a possible health risk because the product may be contaminated with salmonella. The recall comes after warnings from the Centers for Disease Control and Prevention and the U.S. Food and Drug Administration that the product likely sickened 73 people in 31 states, including 24 hospitalizations. There have been no deaths reported so far. The FDA says that the recalled products were distributed across the U.S. and were also sold in Guam, Saipan, Costa Rica, Guatemala, Mexico, the Caribbean and Tahiti. The company said it's investigating a third-party manufacturer that produces the cereal. The FDA is also inspecting the facility that manufactures that specific cereal to collect additional information. Kellogg says consumers should discard the affected product and contact them for a full refund: 1-800-962-1413 or by visiting this website. The FDA says most people infected with salmonella develop diarrhea, fever and abdominal cramps and the illness usually lasts four to seven days -- and most people recover without treatment. The illness can cause serious and fatal infections in children, elderly and those with weakened immune systems. In rare circumstances, infection with salmonella can result in the organism getting into the bloodstream and producing more severe illnesses, according to the FDA.